Manila, the Philippines, 19 August 2017—600 young people gathered in Don Bosco Tondo for a day of fun, friendship and formation. The event? The 2nd Salesian Youth Assembly 2017 organized by the Association of Salesian Cooperators (ASC) of Tondo. 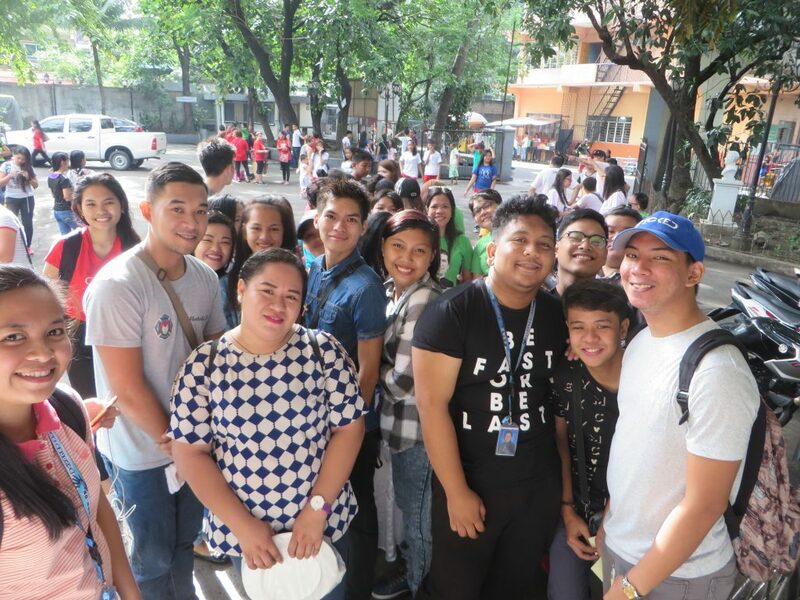 The young people came from schools and parishes near St. John Bosco Parish Tondo, namely: Antonio J. Villegas Vocational High School, Canossa – Tondo Children’s Foundation of San Pablo Apostol Parish, Don Bosco TVET Center – Tondo, Gregorio Perfecto High School, Jose Abad Santos High School, Dr. Juan G. Nolasco High School, Rajah Soliman High School and Tondo High School and Savio Friends Club of Sto. Nino Parish. Students taking Alternative Learning System (ALS) also participated in the event. They were joined by Campus Catechists, Volunteers, Teachers, the Salesians of Don Bosco (SDB) and Daughters of Mary Help of Christians (FMA) and the Salesian Cooperators. A Holy Mass was presided by Fr. Gaudencio Carandang Jr., SDB, DB Tondo Rector and Fr. Jay David SDB, the Vocations Director of the SDB-Philippines North Province. Different groups from the different parishes helped in the liturgical animation to encourage active participation in the Mass. Confessions were made available for the young people. The theme for this year’s Youth Assembly was “Pagsibol ng Bokasyon sa Pamilyang Nagkakaisa.” The aim is the awareness among young people of their own vocations, be it a call to priesthood, religious life (sister or brother), married life or single blessedness. This was lively presented in a “TALKumbinse,” a vocation talk, by no other than Fr. Jay David, SDB, himself. A talk on the consecrated religious life and Q&A was given Sr. Tess Mendoza, FMA, Vocation Promoter of the FMAs. The energy was kept high with animation songs led by the Savio Friends Club of Sto. Nino Parish–Tondo. The young people gamely and actively participated in all the activities and sharing. The event was considered a success, with the young people of Tondo becoming aware that they are being called by God to happiness and holiness, their own vocation.